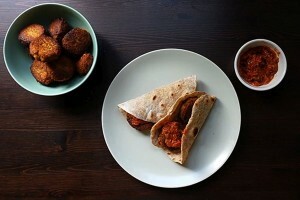 Tasty vegetarian falafel with homemade flour tortillas and a spicy roasted tomato salsa. 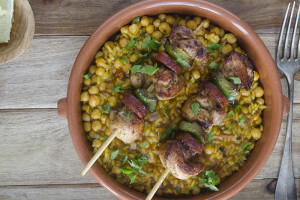 Great for lunch. The perfect snack to solve those afternoon or evening cravings with a healthy alternative. 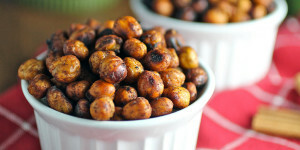 Crispy and delicious, these chickpeas are high in fiber.